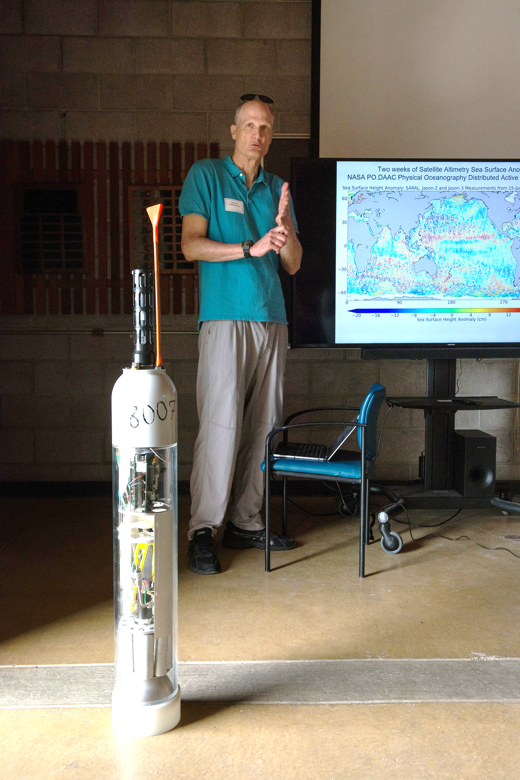 CW3E members were on hand recently at UC Davis’ Bodega Marine Lab to introduce some of the key instrumentation located there to sample atmospheric rivers (ARs). The audience included members of the Western States Water Council (WSWC), California Department of Water Resources (DWR), and Sonoma County Water Agency (SCWA). The audience toured state-of-the-art onsite instrumentation and learned about its significance for forecasting and research into ARs. This instrumentation included the Atmospheric River Observatory, which was installed as part of the California Enhanced Flood Response and Emergency Preparedness network (partners include DWR, NOAA, and Scripps), and has been making observations consistently at this location since 2004, as well as instrumentation installed during the past winter by CW3E to observe surface microphysics and vertical precipitation structure. CW3E collaborator Bruce Cornuelle gave a talk on the importance of ocean observations for numerical weather prediction at all scales, including subseasonal to seasonal. 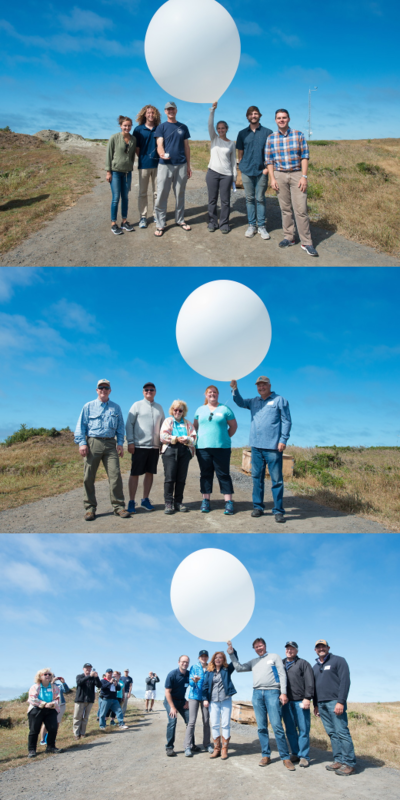 The conclusion of the visit featured a demonstration radiosonde release at Bodega Bay. 275 sondes in total were released by CW3E during historically wet Jan-Mar 2017 at the Bodega Marine Lab as well as an inland location to assess water vapor transport by ARs as they move inland and interact with the terrain. Fig.1. Bruce Cornuelle gives a talk on the importance of ocean observations for numerical weather prediction and subseasonal to seasonal forecasting. Image also includes a model of an ARGO float (http://argo.ucsd.edu/). Photo courtesy CA DWR. Fig.2. CW3E (a), WSWC (b), and SCWA (c) members before the demonstration radiosonde launch.